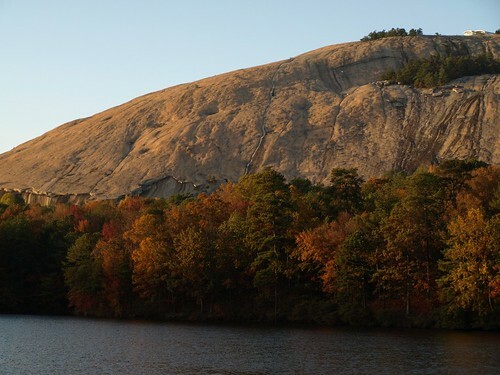 I took this photo at Stone Mountain during the high color of fall (November 10, 2007). For more interpretations of this week’s theme, join the Photo Hunt. 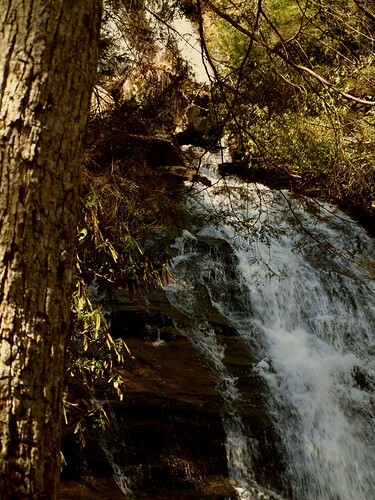 This entry was posted in Hiking, Photography, PhotoHunt on March 29, 2008 by ramblingsbyreba. Asked if you want back story. 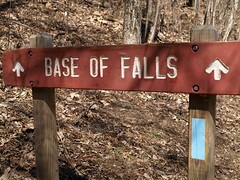 “Base of falls,” sign says. 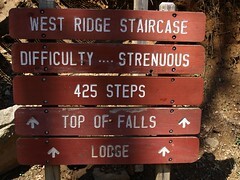 Remain on trails and the stairs. “That can’t be that bad,” we say. It looks like not from here. Wow. But sign said they do. That many more? My heavens! 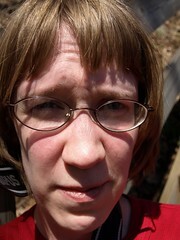 I’m hot; not in a good way. But on we will walk. 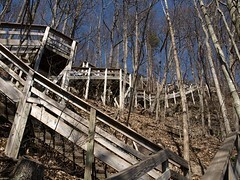 Do these stairs end? Oy. Oh, I’ve already said that. The end in sight! Yay! Still I must rest. Phew! We made it. We’re here! 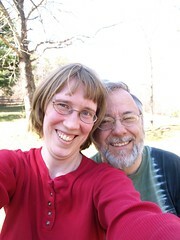 I’m getting good at self-pics. 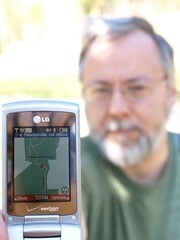 Ed finds where we are. 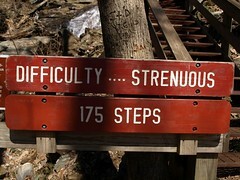 But this time it’s all downhill. A kind soul took this. She worked hard for good image. And we made it. Fun! We had a good time walking. Sore calves next day though. We did this walk quite quickly. Thanks for reading my haiku. 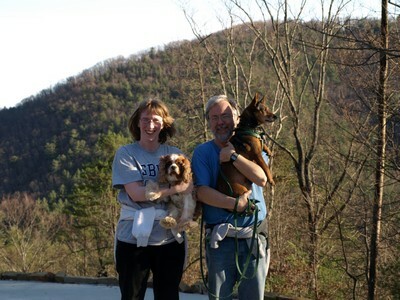 This entry was posted in Haiku, Hiking on March 28, 2008 by ramblingsbyreba. 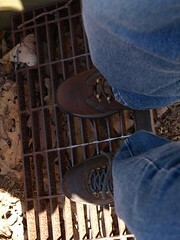 If you’re interested here are more photos from our hike yesterday. 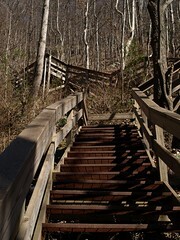 This entry was posted in Hiking, Photography, Ramblings on March 2, 2008 by ramblingsbyreba. Ed wanted to go hiking today. I did not. We went hiking. I had a bad attitude. 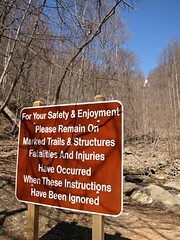 Until we got on the trail and I started taking pictures. 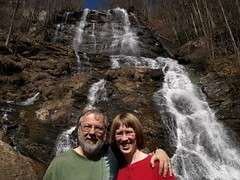 O.k., the beautiful day, the gorgeous scenery, and my wonderful husband being there helped. 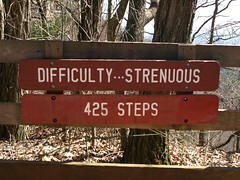 This entry was posted in Hiking, Ramblings on March 1, 2008 by ramblingsbyreba.